Burgundy holds a special place in our hearts. Firstly because part of my family is from Côte-d’Or department and I have the best memories of holidays spent at my grandmother’s house. And secondly, well, Burgundy wines are simply the best in France since their “climates”, their tiny vineyard parcels, lately became a UNESCO Word Heritage Site. So, when planning our itinerary for our cycling trip around France, of course Burgundy was mandatory. Not only the wines are excellent, but the region itself and the landscapes are gorgeous. In Burgundy, with the wines come the castles and there are so many you won’t be able to visit them all. We got to visit one of the most famous castles in the Côte de Nuits area : the château du Clos de Vougeot. 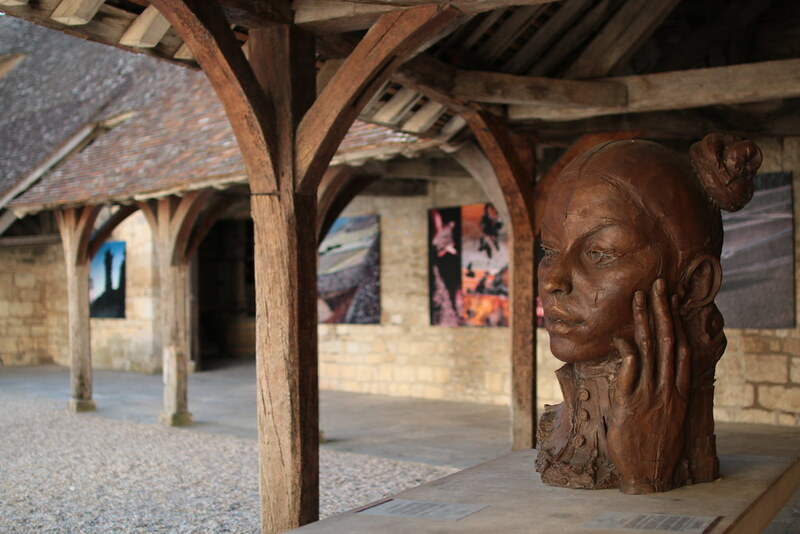 In the Côte de Nuits area, remains of wine making have been detected in the village of Gevrey Chambertin since the 1st century. In the 6th century, monasteries already owned vineyard plots. 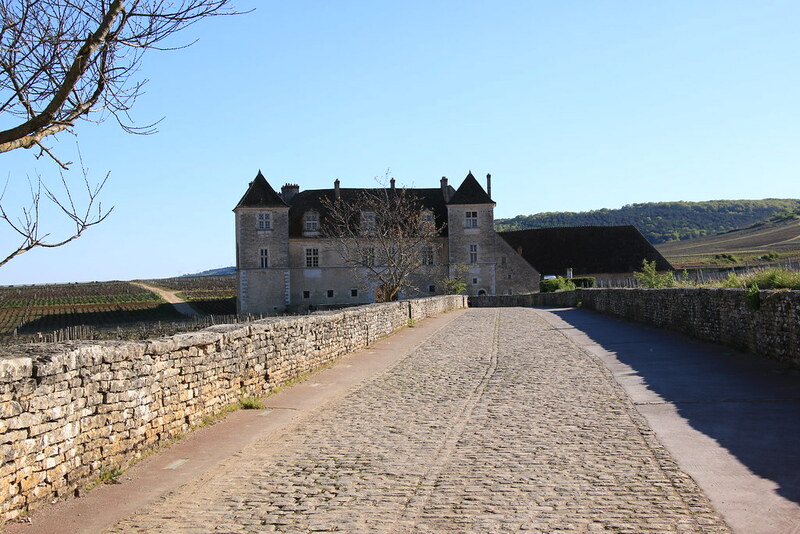 The Clos de Vougeot vineyards were created by the Cistercian monks of Citeaux Abbey, a few kilometers away. At the time, monks needed wine for the Mass, and also because their rule allowed them to have one glass of wine a day (lucky monks). The castle was built in the 12th century by the monks to be a winery. It’s not before the 16th century that buildings were added for the priest and monks to live there. In 1945, the castle was given to the confrérie des Chevaliers du Taste Vin who used it as their headquarters. The best thing to do is to arrive by foot, that way you can admire the castle from afar and walk alongside the vineyards. When entering the courtyard, admire the breathtaking architecture of the castle, showing the different stages and times of the construction. The Renaissance part of the castle was restored in the 19th and 20th century, and was built to be the Priest appartments. 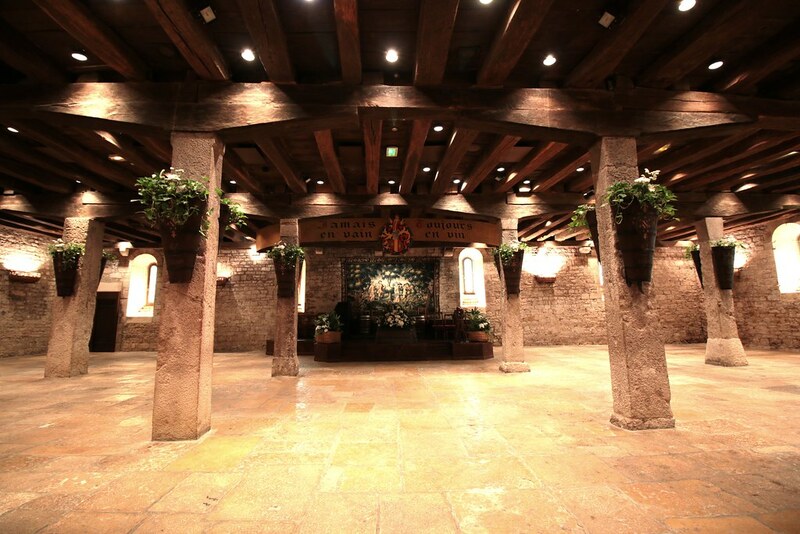 A movie is screened in the old cellar master appartments, where you will admire a breathtaking wooden framework. 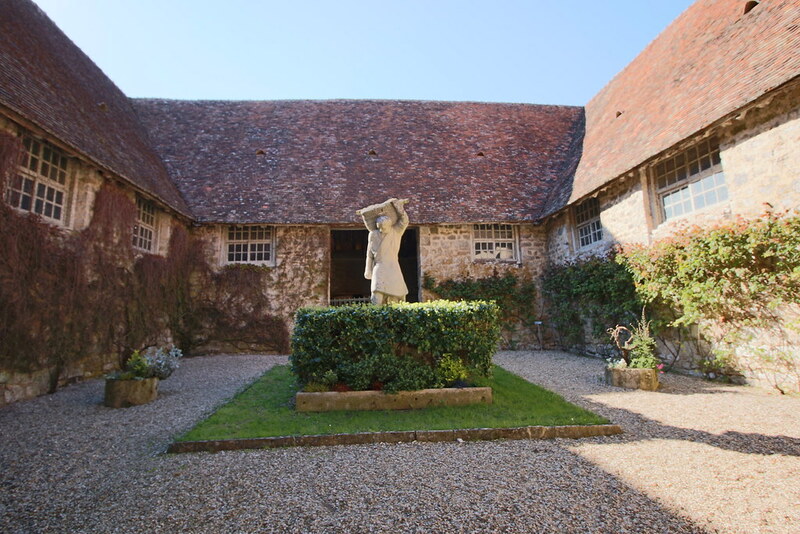 The producing area was built in shape of a cloister, with 4 galleries surrounding a garden, just like in every abbey. This is a reference to the cistercian rule stating that praying and working are both as important. 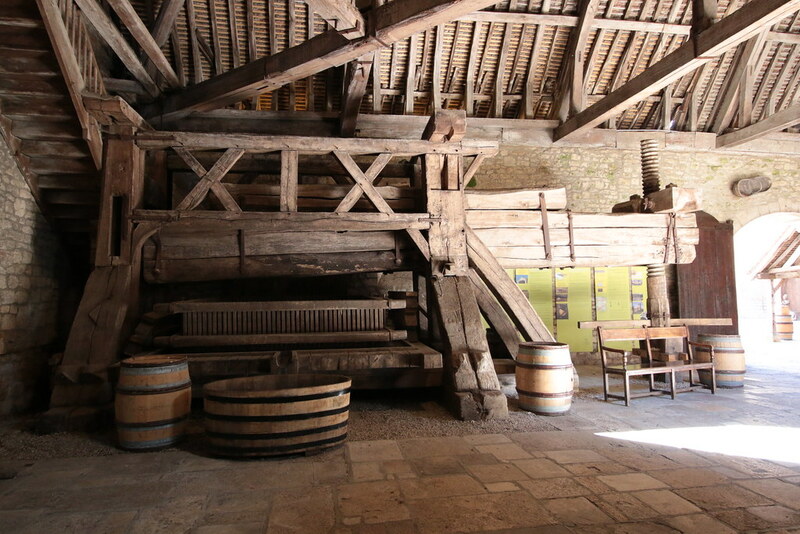 The buildings are showcasing examples of tools used for the production of wine. You can admire the most magnificent examples of huge 15th century wooden grape presses in the cloister, one in every corner. 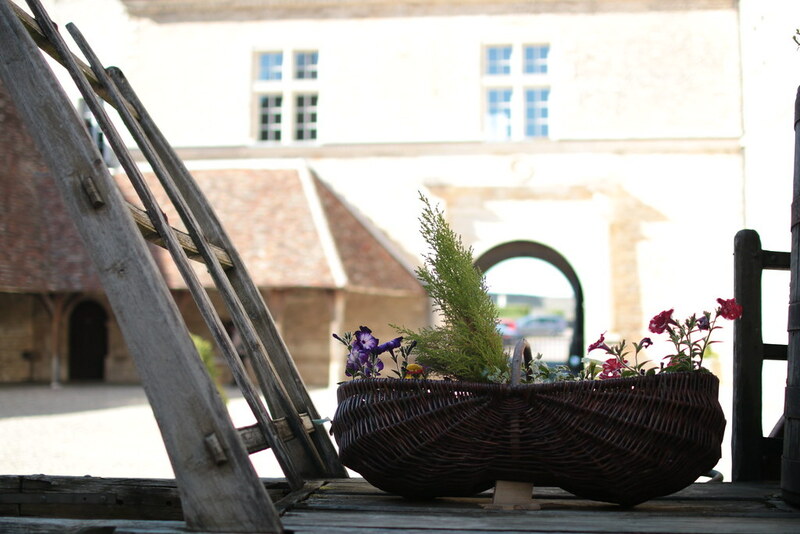 A sculpture of Henri Bouchard ordered by the Confrérie of the Taste Vin seats in the middle of the garden and is called “Benaton” from the basket used to carry the grapes. The wide cellar is a particular room, with its columns and windows making it look like an actual room, was built underground to conserve the wine. 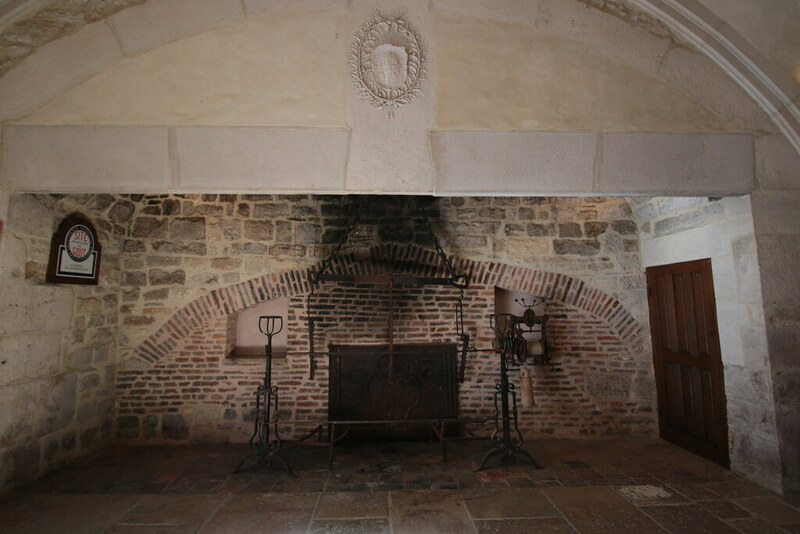 It is now used to hold ceremonies of the Confrérie du Taste Vin. I couldn’t help but think that I would love to be invited to an event there ! You can also admire the gigantic chimney in the kitchens, where you can imagine the lay brothers working and cooking the meals. The castle is now also used to hold art exhibitions, currently showcasing modern sculptures and paintings. As for the wine, the Clos de Vougeot doesn’t do wine tasting anymore, if you want to try some of the wines made in the vineyards around, you have to go directly to the winemakers cellars around. Don’t forget to walk around the castle walls and in the vineyards surrounding it, especially going up the hills overlooking the area : best spot for a great picture ! 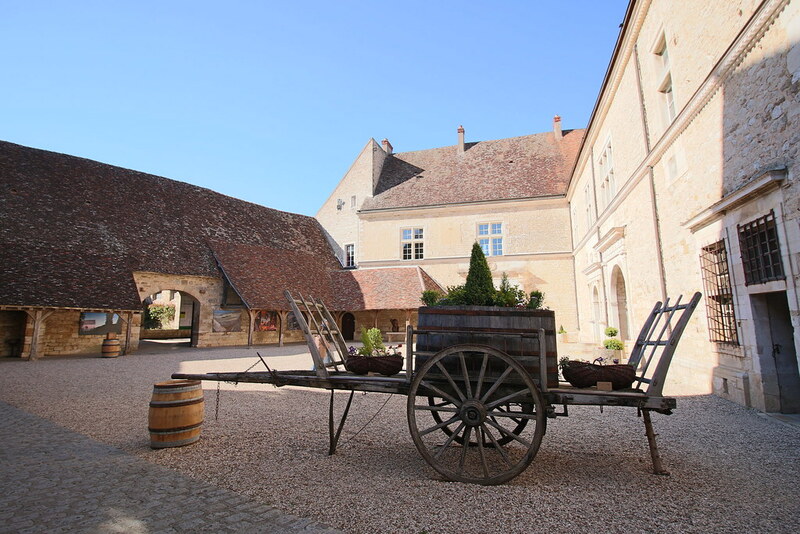 The Clos de Vougeot castle is a fascinating place and definitely a must do for anyone who likes medieval castles and want to learn more about Burgundy wines since the tour guides are well informed on that subject too ! November to March: 10.00a.m.- 5.00p.m. 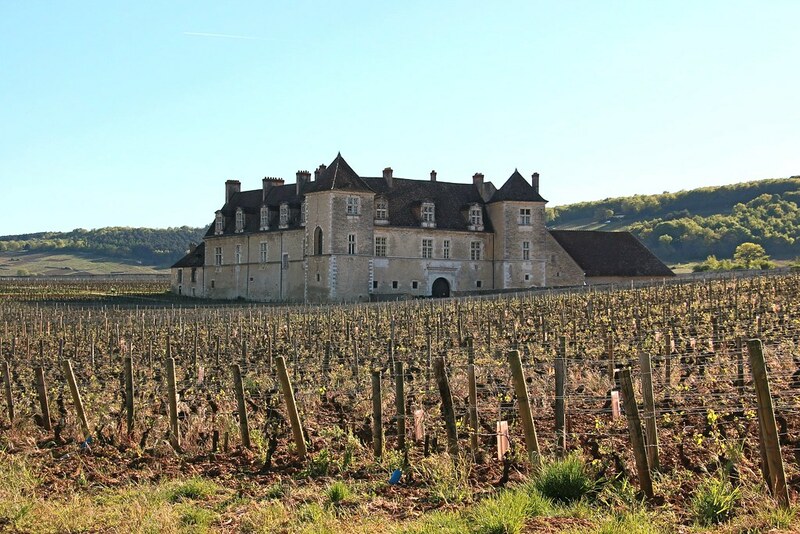 Have you been to the Clos de Vougeot before ? What did you think ? Tell us in the comments below ! Planets best wine super fan !